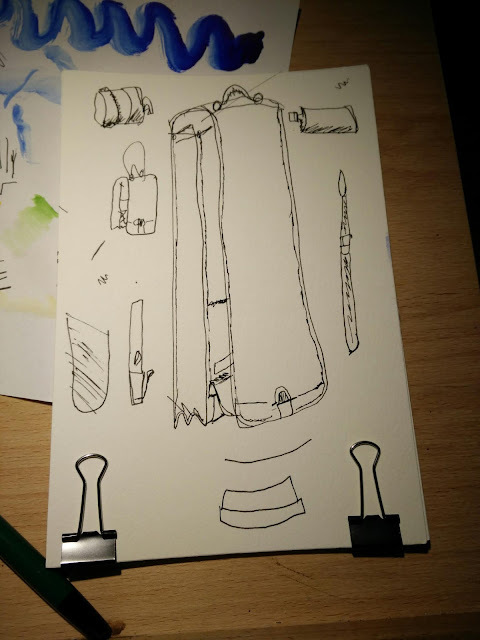 I sketched my sketching bag and a few of my tools. Still learning to judge the proportions. But for me this is a good start. I found this bag in army surplus store for 12 euros. It's a bit thin but it'll do for now. Made 1745 reform filled with de atramentis archive ink.